Two months ago, not a whole lot of Florida fans had heard, or were paying much attention to Valdosta (Ga.) three-star athlete Jaheim Bell‍. Then after an offer from Alabama, the flood gates opened and just about everyone who is anyone in college football followed suit to the point of Bell having over 30 offers. Two weeks ago some predicted that he would commit to Florida State, today, he actually committed to Florida. The Gators won out over a final 10 which included Alabama, Auburn, Florida, Florida State, LSU, Oklahoma, Penn State, South Carolina, Tennessee and Virginia Tech. After two visits to town in the last month, Bell said he started to feel as though Florida is where he needed to be. It was almost a year ago that Inside the Gators first saw Bell at a June summer camp session. In both positional drills and 7-on-7, his combination of size, speed and quickness was hard for defenders to handle. So much so that he ended the summer ranked No. 8 on our top campers list. Last month Bell made our listing of 10 out-of-state prospects the Gator Nation needed to know. 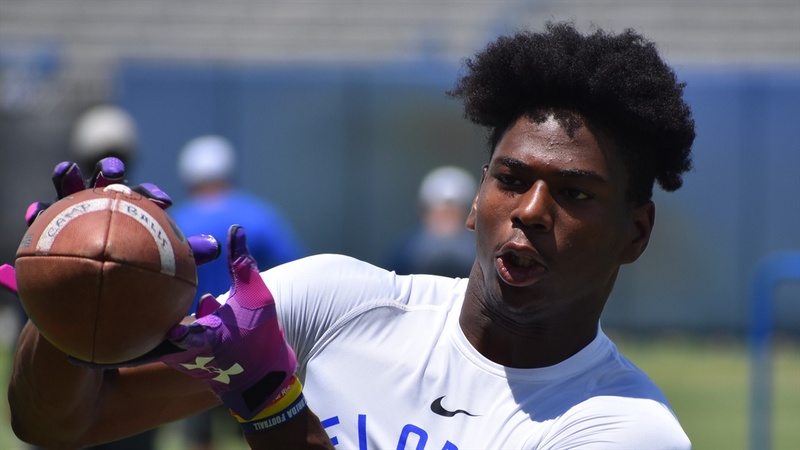 Now, Florida fans have even more of a reason to follow his senior season – as will the UF coaches – who were thrilled to get the news.